With the gold iPhone 5s a very poorly-kept secret, it’s no surprise to see other brands getting in on the action. 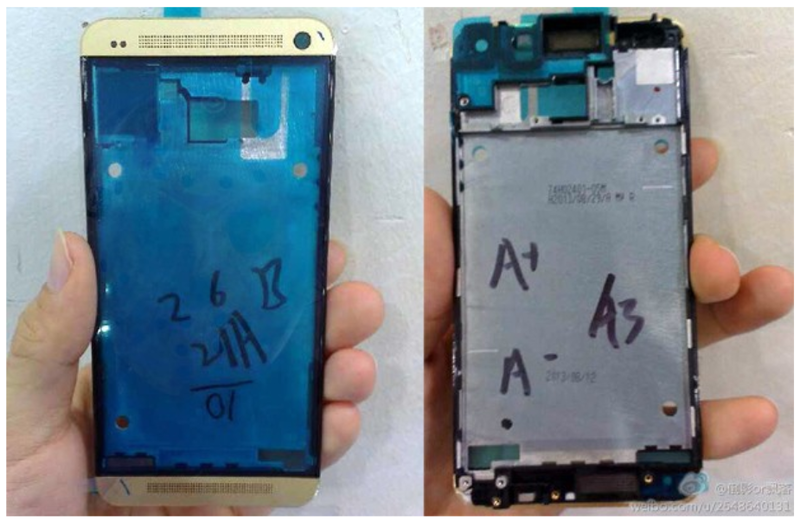 Engadget has received photos from a previously-reliable source (Sina Weibo, who leaked the blue model) of a gold-colored HTC One. It’s always next to impossible to judge the shade of a color from a photo, as angle and lighting can dramatically change the appearance, so we’ll have to wait to see whether this is something close to Apple’s champagne color or something more gaudy. While many supposed parts leaks are fake, this one looks credible, and we suspect it won’t be the last gold smartphone we’ll see by the end of the year.